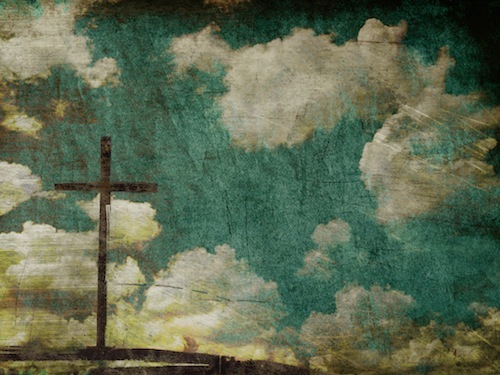 This article talks about salvation, cross, sacrifice, humility, challenge, risk. The cross: That central moment in time when the whole discord of redemptive history resolves into God-glorifying harmony. We try to understand its depth, and attempt to put into words its wondrous formula, but how much do we understand the cost of the cross? More than that, how much do we grasp it in our own hearts, so that it can be fully outworked in our lives? The value in giving Himself up was that it cost Jesus His whole self, nothing less. Jesus existed from the beginning for that moment on the cross; it did not take Him by surprise. The incarnation foresaw the physical torment that Jesus would be subject to; it was all part of the divine plan. His humanness was planned so that there would be nerves in his wrists, feet that nails could pierce, a back that could carry the weight of the heavy beams, a skull to be dug into by the crown of thorns, and a brain that could withstand this agonising pain. But worst of all, this humanness was planned so that Jesus could drink the red-hot cup of God’s terrible wrath. In our place. Yet this sacrifice does not save us unless we grasp it for ourselves. We must plead with God to open our eyes to the truth of this gospel. As the verse from Ephesians says, ‘He loved us and gave himself up for us’ – dwell here, linger here, and savour this sacrifice. Satan wants to do anything in his power to numb us from experiencing this truth. His anaesthetic comes subtly, perhaps through watching certain television programmes, reading unhelpful magazines or getting caught up in mind-numbing entertainment that dampens our sensitivities to the joy that we can have in Christ. His great weapon is apathy. And he wants us to drift, silently and perilously, towards emptiness. But the cross did not cost so much to pay for emptiness! No - ‘In him we have fullness of life’ (Colossians 2:9). When we understand this deeply, we will be able to join Christ and take risks on the Calvary road of love, to ‘go to him outside the camp, bearing the disgrace he bore’ (Hebrews 13:13). The beauty of the cross is reflected when we sacrifice and lay our lives down for the cause of Christ, no longer imprisoned by the enchantment of worldly security. How freeing it would be to say with a joyful heart: ‘For me, to live is Christ, and to die is gain’ (Philippians 1:21). How freeing it would be to be convinced that a life lived any other way would be wasted! - What does the word ‘sacrifice’ mean to you? - In a consumer society in which we are encouraged to always want more, how can we practise sacrifice and take risks for the sake of Christ?